The Irish are synonymous with gambling. It has been engrained in their culture for centuries, and remains one of the nation’s favourite pastimes. You will be hard pressed to find an Irishman who doesn’t have knowledge of betting and odds, or who doesn’t have the occasional flutter, and bettors from the Emerald Isle have a reputation as shrewd and informed punters. 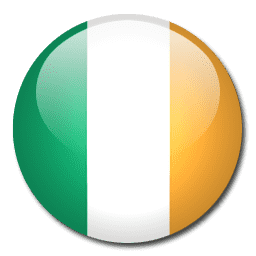 Each year, citizens of Ireland spend billions of Euros gambling both on and offline, and despite its relatively small size, the country is home to a few notable bookmakers who have a strong worldwide presence in the online gaming industry. Gambling is legal in most forms in Ireland, and in this article we take a look at the history of betting in the country, identify which firms accept sign ups from Irish residents, assess the best deposit options available and look at the popular sports in the country. We then conclude by looking at the future landscape of the Irish betting market. The Betting Act 1931 was the first piece of gambling legislation in Ireland and pertained to the regulation and taxation of on-course and retail bookmakers in the country . It was followed in 1956 when the Gaming and Lotteries Act came into force. This act allowed sports betting and the lotto, but made casinos illegal. However, with a few loopholes in the law, it enabled private clubs who offer casino like facilities to operate. These clubs have thrived whilst large casino establishments have been unable to set up in the country. On course betting and betting shops have boomed over the years in Ireland and there have been some famous stories of battles between the punters and the layers. One man stands out as the biggest thorn in the side of the side of the bookmakers in the last century – Barney Curley. The wily professional gambler spent years plotting ways to ‘get one over’ the firms when betting on his beloved horse racing, and some of his coups have gone down in folklore. All of the major online bookmakers accept Irish sign ups. These include Boylesports, Coral and many more. PaddyPower are the flagbearer for Irish bookmakers. They are notorious for their outlandish and controversial marketing techniques and have really made their mark on the industry in recent years. In a real power play, they have just merged with the biggest betting exchange in the world, Betfair. For those customers who want security and anonymity, e-wallets are the best option. They provide an extra stage of separation from customers’ bank accounts and also enable funds to be transferred quickly from one bookmaker to another. Ireland really has its own identity when it comes to sports, and citizens of both the Republic of Ireland and Northern Ireland enjoy a whole host of different events. Gaelic football is the national sport of Ireland, and has been played in the country for several hundred years. It is by far the most popular and accounts for over a third of total sports attendances in the country. The game can be best described as a mix of football and rugby. Kerry are the current reigning champions, having defeated Donegal in the 2014 All-Ireland Senior Football Championship in front of over 80,000 fans. Another event native to Ireland is hurling – a sport which accounts for around a quarter of all attendances at live sporting events. The game has prehistoric origins and has been played for over 3000 years. Each player has a hurley (a wooden stick) and the aim is to hit the sliotar (a ball) between the opponents’ goalposts, either over the crossbar, or into the net which is guarded by a goalkeeper. Hurling is an incredibly fast and exhilarating sport, and although it hasn’t taken off significantly elsewhere in the world, it remains passionately supported in Ireland. On top of their two national sports, football is very popular and Ireland has produced some fantastic players in recent years. The domestic competition, The League of Ireland isn’t the best in terms of standard, with most of the top grassroots players moving to England or elsewhere abroad due to the financial incentives. Notable players in recent years include Roy Keane, Damien Duff, Roy Keane and Andy Reid. As a spectator sport, horse racing is huge in Ireland. Some of the best racehorses, most talented trainers and biggest breeding operations in the world are nestled in the Emerald Isle. The best jump jockey of all time, Tony McCoy, calls Northern Ireland home, and the passion of the Irish is there for all to see every year when thousands make the trip over for the Cheltenham festival in England. Ireland have some very good rugby union teams who compete in the Guinness Pro 12, a league with sides also from Italy, Scotland and Wales. The national team have reached the quarter finals in six of the last 7 World Cups and have won back to back Six Nations tournaments (2014 and 2015). Online gambling is thriving in Ireland, and will only continue to do so. The nation is sports mad and with easy access and no restrictions to wagering online, nothing is likely to change in the future. The new online gambling tax laws are likely to benefit Ireland, as it will enable the country to generate revenue from operators who are located remotely but offer their services to Irish residents.